THANKS SO MUCH TO ALL OF OUR SPONSORS WHO MAKE EL GRUPO POSSIBLE! Interested in joining as a sponsor? Please contact us! A private, charitable endeavor focused on supporting youth success and adult self-sufficiency in Tucson, Arizona. 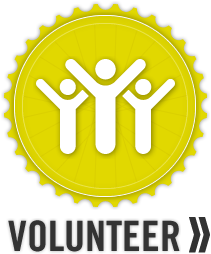 Ride On Cycling is a team of like-minded cyclists geared towards fundraising for a charitable organization and riding as a safe and cohesive group. We are so fortunate and grateful that they have selected El Grupo as their charity! Supports individuals and organizations that promote health and wellness in Southern Arizona and on a national level. Jay and Amy Zuckerman (brother and sister) are central to the family foundation. Locally owned and operated since 1998, they offer a variety of hand-crafted breads, delicious sandwiches, house-made soups, fresh salads and pastries. An award-winning local bike shop that is owned by Ralph Phillips. 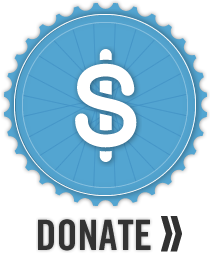 He and FWB has been assisting and supporting El Grupo for years, employs many alumni riders, and actively solicits other sponsors/donors. Also the sponsoring shop for local “Shoot Out” rides. Our mission is to provide the highest quality advice and wealth management services to clients. We offer guidance on all areas of clients’ financial lives. Our primary goal is to help balance clients’ need for growth, while keeping a careful eye on risk. We pursue strategies that aim to limit downside risk. Judy Lewis, Vice President, Wealth Management Advisor. As Tucson’s hometown radiology practice, Radiology Ltd. provides Imaging Services to improve the health of all Southern Arizonans. Dr. Gyorke, Dr. Ashdown and Dr. Siwik are sponsoring members. Sunbelt Medical Management came to fruition through the efforts of a group of private practice physicians, psychologists and physical therapists who were frustrated by the limited options available for billing, filing and collection processes. Sunbelt Medical Management flourishes as a full-service solutions provider for medical practices. Our mission is to provide our guests with an unforgettable experience that they can’t get anywhere else in the world. 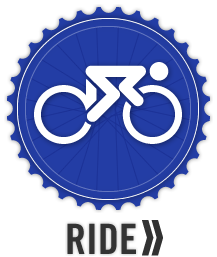 We do this by providing over-the-top customer service, extensive knowledge of endurance sports, and, most importantly, an environment that fosters relationships through riding bikes, enjoying great food, and exploring new places. Based out of Montana, but with a strong house and presence in Tucson. Private bike tours for up to 10 travelers that showcases the art of cycling, food, and wine and the pleasures and treasures of Italy. Founder and President, Willie Joffroy is an avid cyclist, born in Nogales, AZ. Skratch Labs: our mission is to provide people with the inspiration, life skills, and products to take better care of themselves and their families. From hydration mixes to cookbook recipes, it’s all from ‘skratch’. Sooter’s Auto Service is one of the original Tucson auto repair shops. Family owned and operated for over 63 years, their auto shop provides professional automotive repair, maintenance and service. A 3-day road bike stage race that has been running since 1986. Steve Bohn (volunteer coach) has been running the race since day 1. El Grupo provides parent volunteer support for the race and we tend to have a huge presence. Zapier helps you connect and automate the apps you use to get stuff done, so you can spend more time on human work. Easy automation for busy people.